The accessory meter assembly uses this circuit to communicate with the combination meter assembly via the direct line. 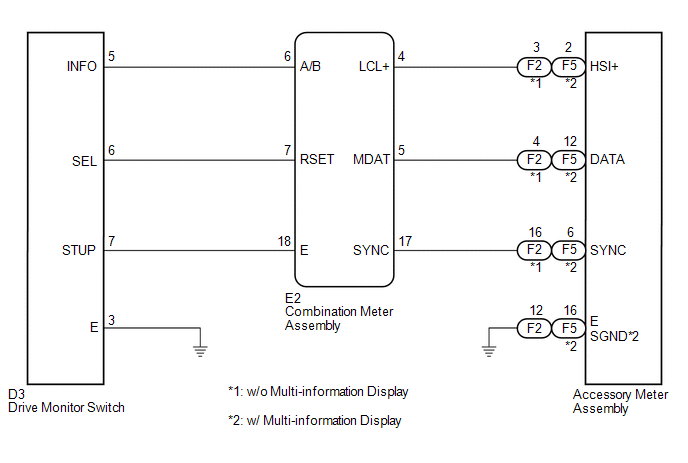 The accessory meter assembly uses this circuit to receive the drive monitor switch signals from the combination meter assembly via the direct line and multi-information display signal from each ECU through the combination meter assembly via the direct line. 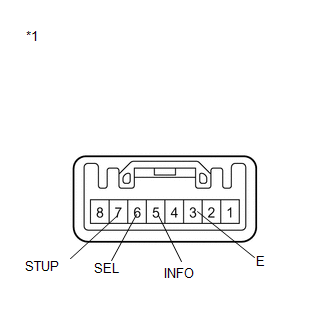 Each ECU outputs the DTCs when each system has a malfunction. Clock display does not indicate cruise information display (The display only illuminates). Multi-information display does not change when the drive monitor switch is operated. 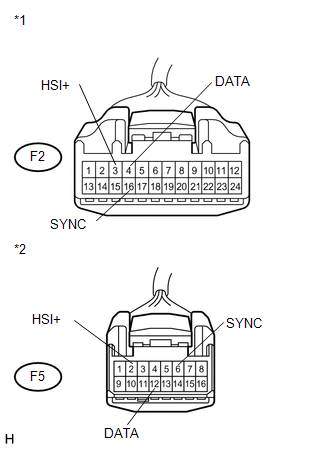 (a) Disconnect the E2 and F2*1 or F5*2 connectors. (a) Reconnect the E2 connector. (a) Disconnect the E2 and D3 connectors. (a) Disconnect the D3 connector.